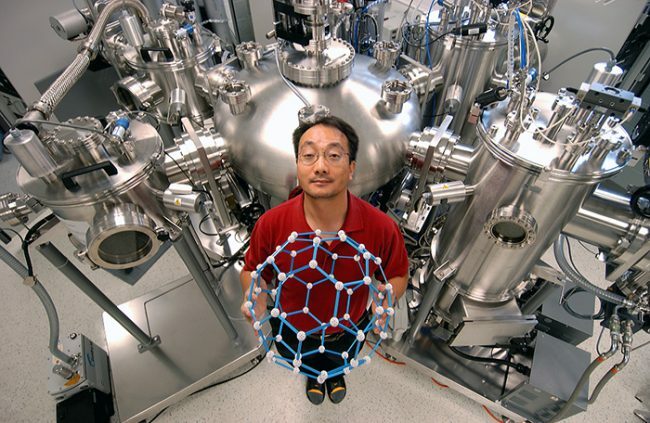 Professor Zheng-Hong Lu (MSE) holds a 3D model of a molecule that can be useful in next-generation lighting systems. Lu is one of 12 members of the U of T Engineering community being honoured by the Canadian Academy of Engineering. Twelve members of the U of T Engineering community have been recognized by the Canadian Academy of Engineering with fellowships and scholarships. The CAE is a national institution through which Canada’s most distinguished and experienced engineers provide strategic advice on matters of critical importance to Canada. Professors Frank Kschischang (ECE), Zheng-Hong Lu (MSE) and Harry Ruda (MSE), along with adjunct professor M.G. Venkatesh Mannar, and alumni David Lapp (GeoE 7T8), Catherine Lacavera (CompE 9T7), Wayne Maddever (MSE 7T8), Audrey Mascarenhas (ChemE 8T2), Helen Wojcinski (CivE 8T7) and John Yeow (MASc MIE 0T0, PhD MIE 0T3) are among the CAE’s 57 new fellows and two new International Fellows for 2018. Student Anston Emmanuel (Year 4 MechE) received the CAE William G. Belfry SAE Award, recognizing excellence in transportation and mobility engineering. A Dean’s honour list student, he completed a Professional Experience Year Co-op position with General Motors in autonomous vehicle development. Jane Illarionova (Year 2 CompE) earned the CAE Bruce Aubin SAE Aerospace Design Award, acknowledging outstanding aerospace design by a university student. 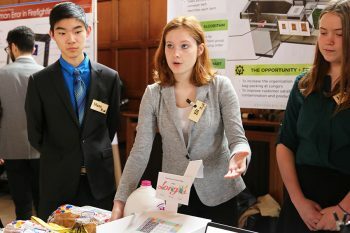 Illarionova was commended for her accomplishments in AI and neural networks, and for her teamwork competencies demonstrated through her extensive volunteer and community activities. Frank Kschischang is an outstanding research engineer and educator whose highly influential work on error-correcting codes significantly shaped the development of algebraic coding theory and iterative decoding methods. His theoretical contributions on the sum-product algorithm laid the foundation of the modern theory of codes on graphs. His work on network coding and fibre optic channel revealed the fundamental limits of information transmission in communication networks and significantly advanced the state-of-art in the theory and practice of digital communications. Kschischang has been extremely active in leadership positions in several well-established engineering societies and conferences. Zheng-Hong Lu is the Canada Research Chair in Optoelectrical Engineering at the University of Toronto. Dr. Lu has conducted pioneering research on organic light-emitting diodes (OLEDs), resulting in the next-generation OLEDs which are far more energy- efficient and cost-effective to manufacture than their predecessors. Lu is Co-Founder of two spin-off companies, OTI Luminonics and Norel Optronics, and works with the major companies in the display and lighting sectors to commercialize the technology developed in the lab. He provides technology consulting to Lakeside Optoelectronics and Alivision LLC, and is a member of the Scientific Advisory Board of Lumentra Inc.
Harry Ruda is one of the world’s leading nanotechnologists, with a uniquely innovative and creative approach to science. He is recognized as an international leader in the synthesis, characterization and engineering of semiconductor nanostructures, with seminal contributions as early as the 1980s. Highlights include a first theory for electron transport in low dimensional heterostructures, a new approach for the fabrication of semiconductor nanowires, original contributions to understanding surface states in semiconductors, and a first report of ballistic transport in nanowires. These contributions are represented in 280 articles in leading journals, nine books, 15 patents, and more than 6,600 citations with an h-index of 40. M.G. Venkatesh Mannar has provided cost-effective solutions to one of the world’s most important health challenges: micronutrient deficiencies. He is the co-inventor of Double Fortified Salt, which is used to address both iron and iodine deficiencies. As President of the Micronutrient Initiative (MI) for 20 years, he grew MI from 4 employees to a global organization with more than 150 staff, offices in 11 countries, and programs that reach 500 million people in 75 countries. His efforts have resulted in millions of people worldwide gaining access to essential micronutrients. He has been inducted into the Order of Ontario and the Order of Canada. David Lapp’s exemplary achievements include a recent invitation to join the federal government’s new Expert Panel on Climate Change Adaptation and Resilience Results, his induction as a Fellow of Engineers Canada (a designation honouring leadership and noteworthy service to the profession), his position as an Advisory Committee member for the Natural Resources Canada (NRCan)- led National Assessment Project – Canada in a Changing Climate: Advancing our Knowledge for Action, and his position as Co- Chair of the NRCan Infrastructure and Buildings Working Group, alongside the Institute for Catastrophic Loss Reduction. Catherine Lacavera is globally recognized as a leader in the field of intellectual property law. As Director of the IP and litigation for Google Inc., she has led a team of lawyers in successfully defending more than 1,000 patents and other intellectual property claims, globally. She has contributed to shaping and advancing intellectual property law around the world to keep pace with the ever-evolving world of technology. Lacavera’s work has affirmed the legality, and ensured the continued availability, of a free and open Internet, user-generated content platforms, content streaming, and many other innovative technologies developed by Google and its partners. Wayne Maddever has held executive positions in private and public companies spanning a broad range of industries, and has provided exceptional engineering leadership in research and development, production operations, and in executing complex engineering projects. He has been the driving force behind the growth and development of domestic and international, technology- based companies for the processing of advanced materials, precision manufacturing, medical devices, recycling, and waste into energy. His creative activities are exemplified by patents, conference presentations, publications and awards. He has also given exemplary service as a lecturer and student mentor in areas related to entrepreneurship and innovation. Audrey Mascarenhas, President and CEO of Questor Technology, is a transformational engineering leader, whose innovative can-do approach has led to the creation of leading-edge clean air environmental technology for the energy sector. She is a passionate supporter of values-based engineering and corporate decision making, and dedicated to giving back to her local and global community. 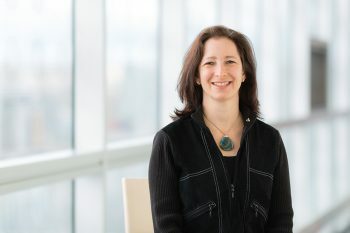 Her contributions have been acknowledged by the 2011 Ernst & Young Entrepreneur of the Year Prairies Award for Cleantech and Environmental Services, and the Business in Calgary 2014 Leader of Tomorrow award. Helen Wojcinski’s contributions have had a substantial impact and have garnered recognitions including the Province of Ontario Women’s Directorate Leading Women, Building Communities Award; U of T Engineering’s 2T5 Mid-Career Achievement Award; Ontario Volunteer Service Awards; Fellow of Engineers Canada; University of Toronto Arbor Award; and the Ontario Professional Engineers Citizenship Award. 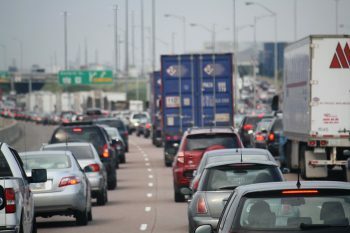 As a highway infrastructure engineer, she managed many complex multi-million-dollar projects and, as Manager of Design of the OTCC, earned national and international recognition as a member of the public-private consortium for the Highway 407 Express Toll Route. John Yeow is widely recognized for his pioneering contributions to the fields of microsystems and nanodevices research, particularly as they apply to medical and therapeutic instruments. His work has had a broad and seminal impact – from discovery to industrial innovation. He was the first to develop a 3D micromachine-based optical coherent tomographic (OCT) imaging system that acquired the world’s first 3D-OCT images of the central nervous system of a fruit fly. This technology enabled the realization of a highly miniaturized catheter for early cancer diagnosis in human cavities that were too small to access. He is an international leader and educator in the development of nanotechnology-based multi- modality imaging systems involving X-ray, optical and ultrasound imaging technologies, and has been widely recognized by the scientific community.